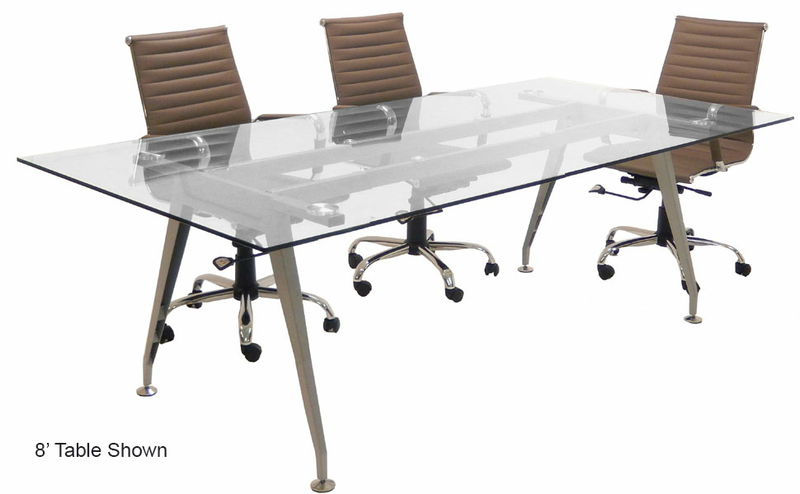 Glass Top Conference Tables- FREE SHIPPING! 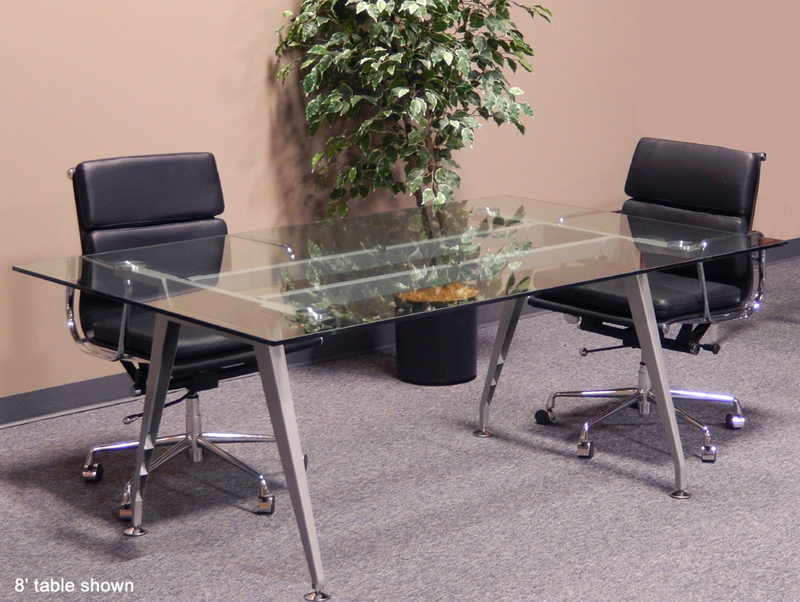 Our clear glass rectangular conference tables are an elegant yet practical choice for your conference or meeting room. Table tops are 1/2" thick tempered glass for a heavy and stable feel. Smooth surfaces are ideal for writing and easy to maintain. Metallic gray steel frames provide a stable foundation and have chrome circular pods for glass support. Table base feet pivot and also adjust in height to handle any uneven floors. One year warranty. Measures 94-1/2"W x 45-1/2"D x 29-1/2"H overall. Shipping weight 420 lbs. Ships unassembled with top crated for safety in transit. PRICE INCLUDES SHIPPING! (Truck shipment - See Terms & Conditions). IN STOCK!